Golden raisins come from the same grape as regular raisins, but golden raisins are treated with sulphur dioxide to prevent darkening and then dried with artificial heat to give a plumper, moister raisin with a pale gold color. Fruits such as strawberries and kiwifruit provide vitamin C, also called ascorbic acid. Choosing vitamin C-rich foods keeps gums and blood vessels healthy. 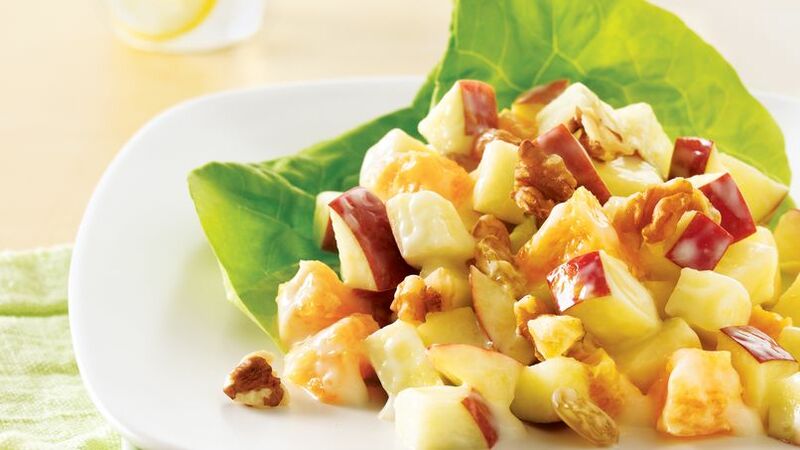 An anytime fresh fruit salad gets a flavor boost from orange zest and orange juice, too.